Construction Type: Existing metal building with EIFS façade. Phased into three separate projects, the scope included: Complete façade redesign, lobby, restroom and gift shop remodel and new lighting and finishes for the gaming areas. 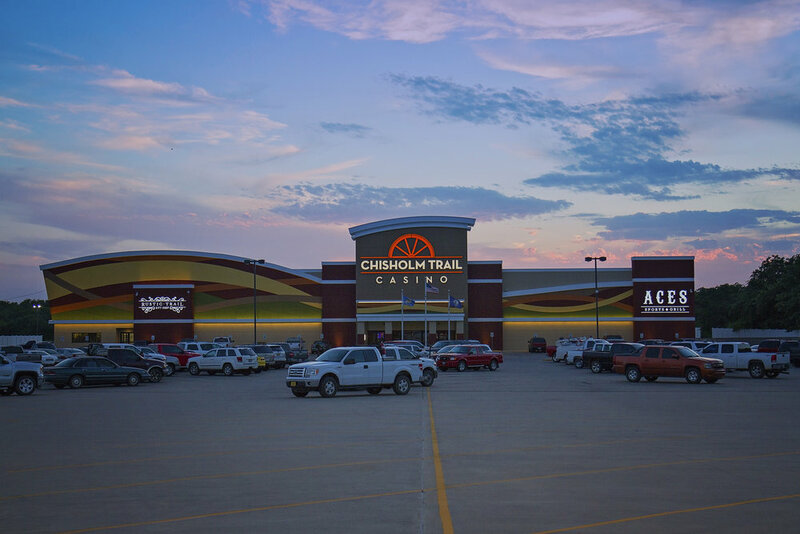 The goal was to modernize the original western themed casino with a fresh color palette and design elements that enhanced the feeling of motion and excitement. The total time frame of the three phased project from design through construction was 18 months, while the casino was still in operation.